Christadelphian Aged Care’s solar panel project will move the organisation towards a more sustainable future by reducing our carbon footprint and saving thousands of dollars on electricity bills. 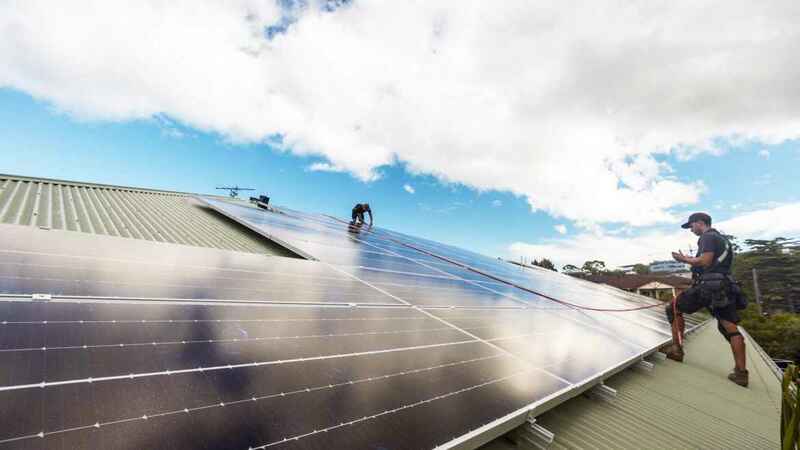 More than 2800 solar panels have been installed across Christadelphian Aged Care Homes to counter rising electricity prices and help the organisation move towards a more sustainable future. The project saw the maximum number of solar panels permitted installed on the roofs of seven of our Homes. More than 1100 tonnes of carbon dioxide will be offset by the system in the first year of operation, which is equivalent to taking 350 cars off the road. CEO Ross Peden said the whole system would significantly reduce the organisation’s carbon footprint, and provide increased financial sustainability amid the rising cost of electricity. “Given the 24-hour nature of aged care, our power bills are a significant operational cost every month,” he said. The installation cost $1.1 million, and is expected to pay for itself in around three years. Switching to solar power is forecast to save the organisation hundreds of thousands of dollars in power bills every year. The energy consumption can also be tracked live with an online dashboard to monitor exactly how much power is being generated and used on any given day. The organisation is also looking at battery storage for power generated during the day, once the technology improves to become a more viable option, along with ways to reduce waste and increase recycling across all our Homes and Villages.